9/11/2001 – It was a typical morning at the office when seconds past 8:46 a.m. I heard my co-worker, Suzanne, ask aloud – “What did you just say?” Liz was the only one of us who kept a radio playing in her office. I heard her reply, “A plane just hit one of the World Trade Center towers.” Suzanne and I both jumped up and went to Liz’s office to hear more. And to speculate on what might have caused such an accident. As many people probably did, we thought it was nothing more than a terrible mishap. Little did we know what was about to unfold before us. Suzanne and I both went back into our offices. At 9:03 a.m. we hear Liz yell, “Another plane just hit the south tower of the World Trade Center!” After that, more than a few of us crowded into Liz’s office to hear the reports on the radio. Suzanne exclaimed suddenly, “Oh my dear God, my friend works at the World Trade Center.” She ran to her office to call her. No answer. After several failed attempts, she called her home number praying that she was at home. No answer. Once again, we all returned to our offices realizing that something was very, very wrong. Around 9:30 a.m. Liz announced that a plane had been hijacked. Just minutes later, at 9:38 a.m., Flight 77 crashed into The Pentagon. After the crash into The Pentagon, most of the office crammed into a small conference room that happened to have a television. Moments later, our Director told us to move into the larger conference room where he’d set up the larger TV. While we were making our way to the larger conference room, Suzanne’s cell phone rang. It was her friend from New York, the one who worked at the WTC. With a wild mix of emotions, I heard Suzanne almost scream, “where have you been? !” It seems that her friend, who was habitually late for work, had once again overslept. This time it saved her life. She had no idea what had happened; she had missed it all. Once in the conference room we all sat watching the events unfold, the speculation of what had happened and who was behind this tragic series of events. As we were watching the reports, we witnessed the collapse of the south tower just before 10:00 a.m. Words can’t accurately portray the emotions of everyone in that room. What I remember clearly is that Suzanne and I sat with our arms around each other, crying openly. Ten minutes later, at 10:10 a.m., we learned that Flight 93 had crashed in Pennsylvania. Not even twenty minutes later, at 10:28 a.m., we watched in horror as the north tower collapsed. Our world had indeed changed forever. As I’ve watched those events unfold again and again every September 11 for the past ten years I have waited for the absolute repudiation of those events from those who practice Islam. I can count on one hand those Muslims who have stepped forward publicly to call out their Muslim brothers who seek to destroy the world, not only the Western world, but even other Muslims. The naivety I had prior to 9/11/2001 has been replaced with a sense of patriotism and awareness that I did not have before, and for that, I am grateful. But, for the loss of life and loss of freedom both on that day, before that day, and since that day, I stand strong in my outrage towards those who perpetrate these gross acts of terror against America. There are some acts that can neither be forgiven or forgotten. 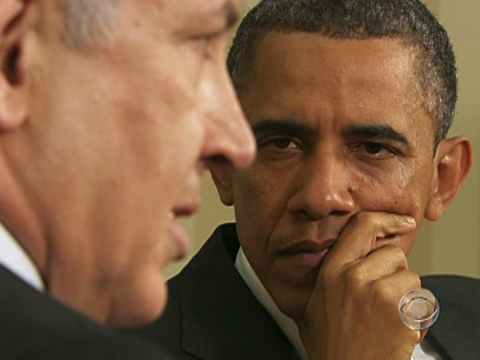 …after Netanyahu publicly took Obama to school over the 1967 borders issue. “Never again! !” He shouted at his chief of staff according to Doug Ross over at Director Blue. Obama appeared agitated and it seems now that he was, as Doug Ross describes it, in a ‘narcissistic rage’. One does not speak to the Emperor in that manner. One certainly doesn’t publicly disagree with the infallible Nobel Peace Prize winner who, incidentally, has started two wars as of this week’s action in Yemen. Now it appears that this public chastisement will not go without retaliation because in spite of his conciliary tone at AIPAC, privately Obama is still pressuring Israel on the 1967 borders issue. Is the American Jewish voter still in love with the President who sides with your enemies? He’s just not that in to you. He has a new heart throb. It’s the Muslim Brotherhood. Could this finally touch criticism of Islam from Left? Could THIS be the straw that broke the camel’s back? The Left has made it clear that the only religions that deserve respect are the ones that show no respect or preach hatred of the United States. Lately, that is Radical Islam. Coming in a distant second: The Black Separatist Theology as practiced by Rev. Wright. It’s probably not a coincidence that our President has practiced BOTH of these religions. Stonings, public floggings, car bombs, bombs strapped to children, “God-Damning America”, dismembering, disfiguring and imprisoning women are brushed aside and disregarded like “Lewinskies” in the Oval Office. “Publically stoning a woman for driving a car IS a PRIVATE matter”, we’re told. But as the New York Post reveals, Al Qaeda may have FINALLY went too far. Sewing bombs to the insides of dogs! This transcends devious and sinister, runs a bee-line past cruel and unusual, and races to the Megalamaniacal like an art critic to a wine and cheese. Will this finally get Maureen Dowd to put down Vanity Fair and actually CRITICIZE Al Qaeda’s behavior? Probably not, because that would mean lifting their Get Smart influenced “Cone of Silence” from around Lord and Lady Obama. With the troop withdrawl’s in Iraq, the altering of the rules of engagement, and the recurring (mysterious) exclusion of “the Taliban” whenever speaking about the Ware on Terro, it’s apparent that the President’s strategy can be summed up with the old axiom: The Best Offense is to not be offensive. Questioning or criticizing this only serves to make it more obvious that George W. Bush was right about the War on Terror. The Democrats just needed a poltical volleyball in 2003, so they had to turn common sense inside out. “We support the troops, but not the war”. No sense rehashing history that as of last Tuesday is ALSO history. But in conclusion, one has to ask: Will PETA speak out about the use of animals as canine bombs by Al Qaeda? C’mon, we all know the answer to that. Of the many incredibly bad ideas that bombard us daily from the ruling class, politicians embracing the building of the Super Mosque, Cordoba House (more on the significance of that name in a video below) just a few yards from the massacre at the World Trade Center has to be one of the most heinous. “Peaceful New Yorkers, pls refute the Ground Zero mosque plan if you believe catastrophic pain caused @ Twin Towers site is too raw, too real,” Ms. Palin wrote. “Peace-seeking Muslims, pls understand, Ground Zero mosque is UNNECESSARY provocation; it stabs hearts. Pls reject it in interest of healing. NYC Mayor Michael Bloomberg was interrupted from his usual roles of controlling smoking, transfats and salt intake and was forced to weigh in on this insignificant topic only because one of his aides tweeted back that Sarah is, wait for it…. a RAAAACIST for objecting to the Super Mosque, injecting his supreme idiocy into the conversation. Everything the United States stands for and New York stands for is tolerance and openness. Let’s let Pat Condell from Robert Spencer’s Jihad Watch explain to the good Mayor and anybody else who doesn’t yet fathom the significance of the jihad against the west in general and the U.S. in particular. They plan to open this on Sept. 11, 2011, Ten years to the day after the atrocities of 9/11, if there is any doubt about the intentions of the Islamists. Mr. Condell has some words of wisdom for Americans. We’ve got to rise up and stop this symbol of islamic conquest. Speaking of Robert Spencer, he’s teamed up with Pamela Geller of atlasshrugs.com to write a new book, ‘The Post American Presidency’ in which they go into great detail about Obama’s plans to destroy America from within. Does this qualify as a beach read? I think it streets today, so you might want to check it out.